Olivia has got to be one of the most beautiful women in the world, in my opinion. She reminds me of Penelope Cruz, Heather Graham and Shania Twain all rolled into one. I was VERY hesitant to do this post despite a lot of requests to do an Olivia Palermo look, because the truth is her eye makeup is quite straightforward and simple (which I can recreate and give tips for), but the end result is really largely due to her natural eye shape (which I can't recreate). 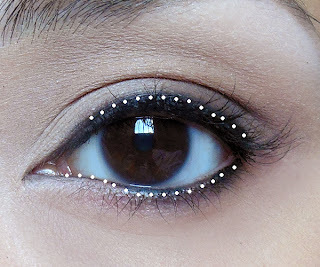 Even with the same makeup I will never look anything like her, but if you have a similar eye structure (a lot of Indian and Mediterranean women do), then this is a fantastic look for you. Now Olivia changes her eye makeup slightly all the time. Sometimes it's a wash of shimmery beige, sometimes it's very strong bronze smoky eye, and sometimes it's a very subtle matte. Please note you can switch products to get different effects. I will tell you where/how! Basic contouring. 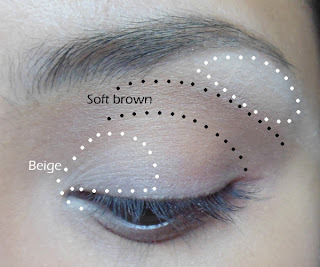 If you don't have as defined an eye socket as hers, running a little medium brown along the hollow of your socket line and a paler beige on the brow bone and the inner half of lids will help to emphasize it a bit more. IF your eye shape is already very much like Olivia's skip this. Her staple brown lid: Regardness of whether she is using shimmer or matte, Olivia almost always puts a deeper brown onto the outer half of the lids, and blends up into the hollow of the socket line. Tip: If you want a smokier "evening" look like Olivia sometimes wears, bring this brown about 2/3 of the way in, until almost your entire eye lid is dark brown. Tip: If you are using a shimmery shade, you can also use a shimmery beige at the inner corners instead of matte. The eyeliner is the key to the Olivia look. Tightlining: She pretty much ALWAYS wears black along the inner rims of her upper lash line. 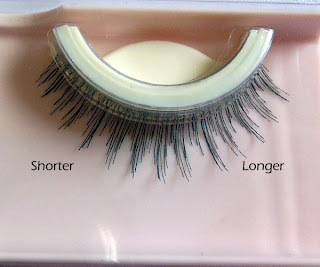 This intensifies the base of the lashes and helps to make the eye stronger looking. DO NOT draw a wing or pull your liner out further. 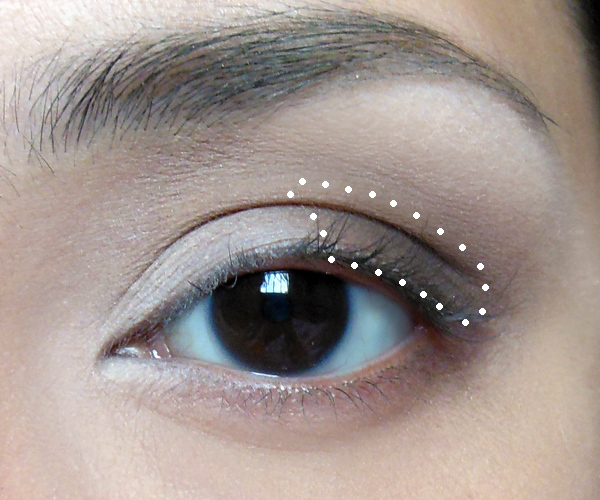 Along the lower lash line, don't draw the black pencil all the way. Just along the outer corners. 1. On the upper lid above the lash line, she will do another line of black and then smudge it out for that signature "smoky liner" look she always wears. 2. Along the lower lash line, use a lip brush or concealer brush to also smudge the black inwards, pulling it along the inner rims so there is just a trace of definition along the waterline, but it's not too heavy and hard. Olivia's always wearing falsies, but she doesn't do very obvious and unnatural looking ones. 1. 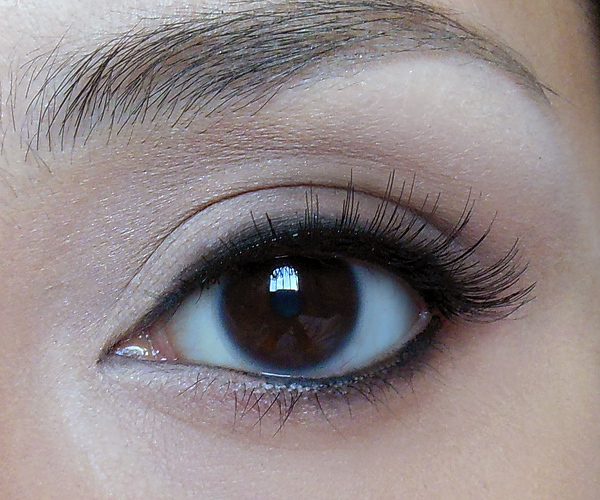 When applying lashes, make sure the outer corners set down almost right at the end of your eye. If you position them further in, you create a more "Cat-like" shape. Nice, but not Olivia's look, which is more doe-shaped. 2. After setting your lashes down properly, press downwards slightly at the outer corners so the hairs point straight out, not up. 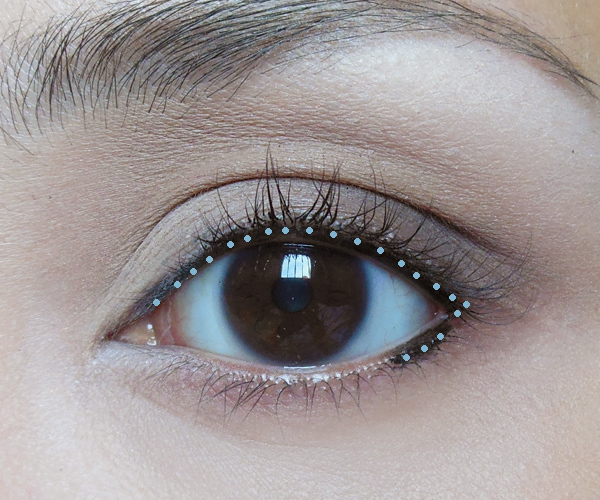 You're not trying to create an exaggerated doll-up (where you push lashes upwards). Skin: Olivia's skin is sometimes bronze, sometimes pale, but the main thing is she's always glowing, so resist the urge to slap on too much powder. To mimic her satin skin, only dab a little powder along down the nose and on the inner portions of the cheek, and let the other areas look dewy. Blush: Olivia goes for warmer blush shades like peach and coral. I never seem to see her in a straight-up pink. If you don't have her sculpted cheeks, use a matte bronzer for a little contouring first, then a peach-colored blush along the tops of the cheekbones. Lips: This natural beauty doesn't even wear lip color all the time. She often just looks like she is wearing a little clear balm or gloss. Even when she wears color it's a little translucent peachy/blush shade that looks like her lip color. Tip: If you, like me, have very pale lips and don't look good in just clear lipgloss, try a color-adjusting lipbalm so there's a little warmth and pink to the natural shine. The contouring looks really good! Eye is the most important organ in our body for that we have to make special care. I like this make up so much! All my previous experiences at the applying makeup left me frustrated, confused, and feeling anything but beautiful :) But this tutorial is really helpful! I'd like to advise you to click here to learn more great makeup tips that really work!